The situation on the border between Slovenia and Austria remains tense. Hundreds of migrants broke through the border fence at night. 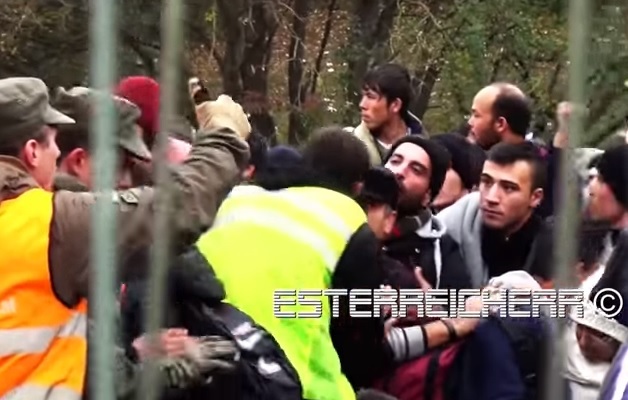 Video captured hundreds of migrants climbing over the fence and entering Austria. The police were able to restore some order but not before hundreds of migrants flooded into the country. This video was reportedly filmed the evening of October 20,2015. Thousands of migrants cram the camp on the border.